If you are looking for National University of Medical Sciences, NUMS Syllabus 2019. Than Your at the right place. In this post, you will find the nums syllabus and all Nums Study stuff. So if you really Looking for Entry Test help and much More. Keep reading this post. This will solve you all NUMS Entry test Related Problems. So I recommend you to continue reading this post till the end. This will help you a lot. To the Point, here I will give you Some amazing details about the NUMS Syllabus For MBBS and BDS. NUMS Syllabus Mdcat divided into four portions like UHS MDCAT(MCAT) Syllabus. NUMS Entry test 2019 is going to conduct imediately after 2nd year Examinations. Start Preparation today. Practice makes a man perfect. Do Maximum practice, Here is some reading material for Preparation. You can easily get maximum marks. if you try these tips honestly and smart way. 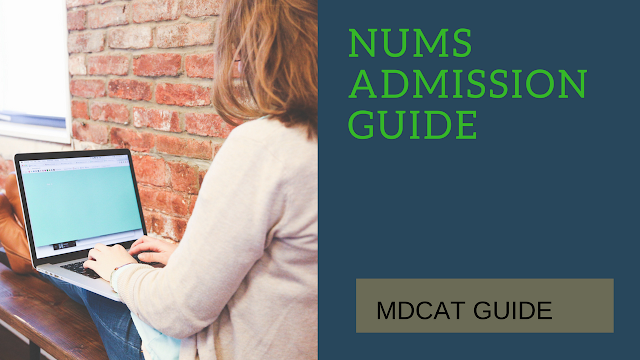 Nums Entry test 2019 registration will open soon. Due to Central induction policy and change rule and regulation. therefore NUMS registration is a delay. I Hope Registration will start this year. NUMS Entry Test will be conducted by the National University of Medical sciences Rawal Pindi. Mostly NUMS Conduct Entry test in All Major Cities of Pakistan. Cities Name are mention below. Past papers are very important due to the following reasons. According to My Promise, this article will help you with your think. Here is a video which explains Top medical Field other than MBBS and BDS In Pakistan with Scope. Watch This 5minute video. 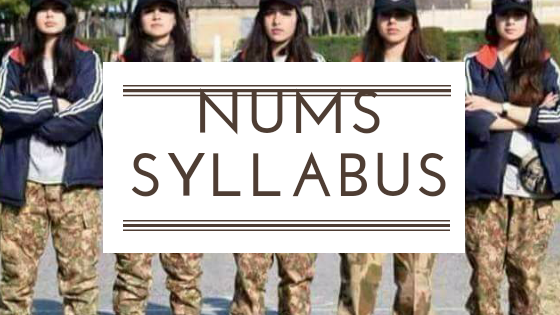 Here is NUMS Syllabus 2019 for entry test. you can also download pdf file of this syllabus for further use.